The air pirate Andan Cly is going straight. Well, straighter. Although he’s happy to run alcohol guns wherever the money’s good, he doesn’t think the world needs more sap, or its increasingly ugly side-effects. But becoming legit is easier said than done, and Cly’s first legal gig - a supply run for the Seattle Underground - will be paid for by sap money. New Orleans is not Cly’s first pick for a shopping run. 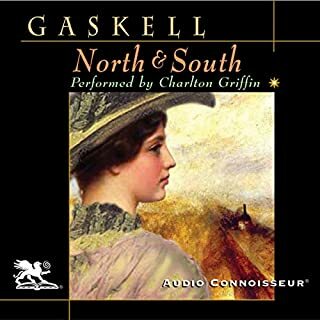 He loved the Big Easy once, back when he also loved a beautiful mixed-race prostitute named Josephine Early - but that was a decade ago, and he hasn’t looked back since. Too many inconsistencies and missed Kate Reading. 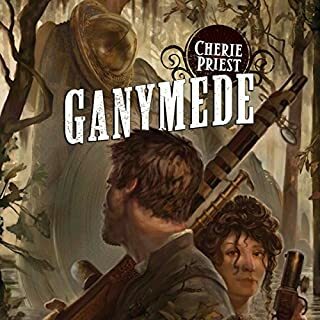 A great new entry in the clockwork universe, is somewhat marred (and loses one star) by having a lengthy continuity error early in the book, but it is worth getting past that and getting into Ms.Priests New Orleans which is rich with that city's flavor and a solid story. It is also the first instance of the word "zombie" appearing and the term coming from the Voodoo Queen Marie Laveau no less, is a brilliant touch. 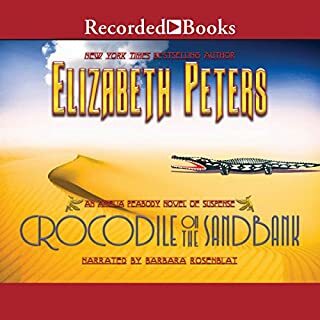 The first and best of the Amelia Peabody Mysteries by Elizabeth Peters, this novel introduces us to the redoubtable Amelia Peabody, wealthy spinster and passionate student of Egyptology as she begins her career with her first trip down the Nile, It is also her first encounter with Emerson, the archaeologist with whom she will share many adventures. The excellent story is a little undeserved by Rosenblat's reading, while she hits the right notes she seems to see Amelia as a great deal older then her 30 years. Tiffany Aching, the boldest heroine ever to swing a frying pan against the forces of evil, is beginning her apprenticeship in magic. She expects to work hard, learn spells, and become a witch. She doesn't expect to find herself doing chores, caring for the careless, and trying to outthink an ill-tempered nanny goat. There must be more to witchcraft than this! 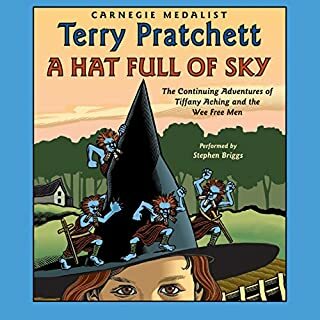 With it's biting humor and sharp insights into human nature this is another of Terry Pratchett's excellent dips in YA literature, well read by Stephen Briggs. a lot of promise to fizzle out in the end. The reading is very good. 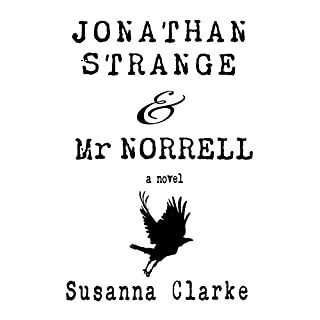 Engaging and interesting and with the numerous footnotes, difficult to do. So props for that. The book though, is pure cotton candy, (not that it's sweet---it isn't) but it feels, when your listening too it, a lot more satisfying then it is when you get to the end. 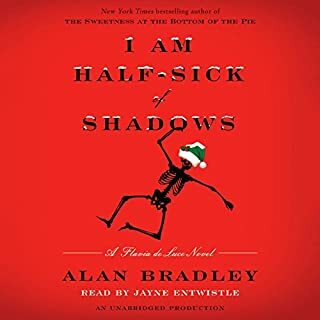 Jayne Entwistle gives her usual excellent reading in this, the latest Flavia De Luce adventure, it's an ice cold holiday romp as the village of Bishops Lacey and a film company prepare to spend Christmas with De Luces, and with Flavia about, all this company can only lead to murder most foul. A by the numbers fantasy/romance, girl loses father, meets boy, runs away from boy, finds strange destiny, keeps getting thrown together with boy.... yada. It's perfectly satisfying if that's what your in the mood for. 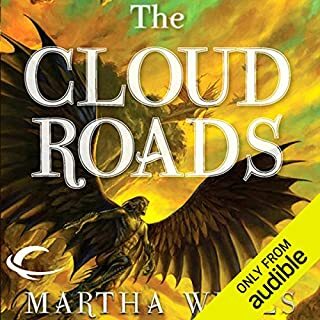 The three worlds of The Cloud Roads, Air, Earth and Sea are some of the most original in recent fantasy fiction. Moon, is a shape shiftier who was orphaned early and separated from his own species lives among "groundling" tribes... until they discover his secret and kick him out. 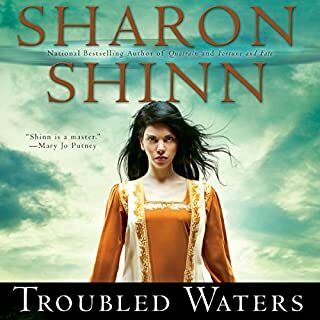 Moon's struggle to come to terms with his past and future, along with the three worlds he inhabits is well written and engrossing, holding the listeners attention and leaving them waiting impatiently for the sequel. The Private History of the 2nd President. 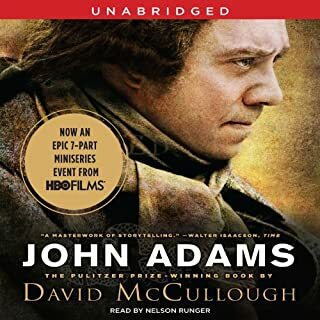 A well written and well read account of the life of John Adams, Farmer, Lawyer, Statesman. referencing the rich collection of correspondence that John and Abigail Adams took part in during their long and busy lives, John Adams and the historical figures who surround him, Jefferson, Washington, Hamilton etc. come into focus as real people, both more and less then the sum of their public works.